The farmerz got a goodie bag when they joined the club. The contents of the goodie bag were: a plain brown gift bag, 1 yard of brown ribbon, a 6x6 square of The Greeting Farm Sunny Glen paper, a mini bag of popcorn and one printed image of each digital image available here at The Greeting Farm. Their challenge for May was to make something, anything using at least one item out of the goodie bag. I did not tell them what the challenge would be "judged" on, just that it wasnt going to be on the prettiest creation! Now I get to let you know!! I want you to judge this on creativity. Who came up with the most creative use of the items they were given. The poll is in the top right corner so be sure to vote!! Voting will be open until Sunday and the winner will be announced on Monday! The winner will be featured on the blog and in the store in June! The will also get their choice of a discount or Munkie Money. Again, most creative use of the items they were given!! Let the voting commence! Prices, challenge info & the Round-up! Lets just get the bad news out of the way... Wholesale prices have gone up, so unfortunately, our price has to go up too... The single stamps are gonna be $8.00 from now on. At this point, the only set that has gona up in price is Neverland (now $16.00), but I think the others will be increasing as well. We will be sure to let you know as soon as we do. BUT... Isn't it great to be a Farmer!! Remember, you get discounts and free shipping as a club member, which still makes Funkie Munkie Scraps the cheapest place for our favorite little stamps!! If you aren't a farmer, you can still sign-up! Just send off an email to tgffarmerz@gmail.com and we will get you instructions of how to do it! The Round-up is gonna be this coming Thursday, May 21st 6:30 - 7:30. You will get your instruction sheet for a project (or technique.. I am torn between 2). This months round-up is only going to be an hour, as I have been struggling with some health issues. But I want to take this time to talk to those able to attend and find out from you what you are wanting. Everything from discounts, challenges, projects, techniques, etc... I really want this to be your group that you are really happy with! But next month, our round-up will be longer so we can all play!! 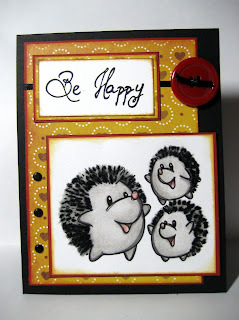 And dont forget.... all The Greeting Farm stamps are 20% off that day! Even if you can't come, you can email in your order! If you aren't able to attend, you will get the project/technique emailed to you and any information you may have missed! Last but not least... This months challenge.. As I said in the Farm News, take your goodie bag and make something. I have had a bunch of questions as to what I meant. You can use everything in your goodie bag, or you can use one thing, even just the goodie bag itself. I wanted it to be really open and really basic. It gives all of us a chance to see what each persons style is. It also gives me some direction. So please please please get me something. Just take a picture and email it to me by Sun May 25th!! And remember, I wont tell you what the judging is going to be based on, but I will tell you it wont be on coloring or "whos looks the best"... so get creative!! Thats right farmerz... The Greeting Farm has released new stamps. We have ordered them and are impatiently awaiting their arrival!! Some of you got the sneekie peek and chance to pre-order them... but some of you havent... So here ya go... Just be sure to hurry on into Funkie Munkie Scraps when the arrive so you can get your hands on them!! FINALLY!! Farm news has been sent out! If you are a club member and do/did not get your email, please shoot me an email at TGFFarmerz@gmail.com. If ya got any questions, again, just email me!!!!!! I also need an email if you have not gotten your goodie bag yet!! I wanna make sure we havent missed anybody!! I have had a few questions about how the featured sets work... Each month we will be picking 3 stamps (either sets or singles or a combo) that we will call the "featured sets of the month". In the email that will be sent out, you will be told what sets those are... for one day during the month, and one day only, they will be available at $8.50 for sets and $4 for singles. For the rest of the month, you will be able to purchase them at $10 for sets and $5 for singles... As with everything else, if its in stock when you order it, it will be sent right out... If it is not in stock, we will be ordering more and will ship it as soon as we get it. As always, these discounts are only available to club members. We will not be telling you exactly what day the sets will be at the $8.50 in the email. We will give hints in posts as to when it will be and on the date we select, we will blog post early that morning that this is the day. So when you get the email telling you what the featured ones are gonna be for the month and you really want one (or all) then be sure to follow the blog!!! I hope this helps clear up any questions, but as always, send me an email at TGFFarmerz@gmail.com if it doesnt! In other news, Stephanie got stuck in Atlanta this weekend so Farm News emails wont be going out til Wed!! But it will be worth the wait!!!!!!!!!!!!!!!!!!!!!!! If you want to know if a certain set is in stock currently, just call the store.. We will be here until 9pm EST tonight! Now onto the good stuff!! TODAY IS KICK-OFF!!! WOOHOO!!!! I should have an email off to everyone by Monday! It will give you information on your discount for this month, dates on the round-up, and some exciting new benefits!! I will be heading to the store in a few hours. Once I get there I will be sending out a basic email with some information for today! Until then, FOR FARMERZ ONLY... 30% off TGF stamps today! Because stock is flying out the doors, this includes any stamp you order that we dont have in-stock. Once I get to the store I will update whats in stock and open the rest to be ordered. So be sure to get your order in before mid-night!! 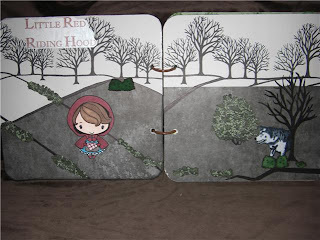 ALSO... For today only, this months featured sets (wishing tree, shepherd boy & sentiments) are at an exceptional price (below $10). If you would like these sets, just give us a call so we can you a correct total!! So be sure to get stocked up today!!!!! Goody bags will be mailed out next week!!! So keep watch! We are on the final countdown to kick-off!!! Less than a week to go!!! For those not around Greenville, be sure to check the blog!!!!!!!!!!!!!!!!!!!!!!!!!!!!! wink wink! I am working on finalizing a couple additional goodies for club members that you are sure to LOVE!! So stay tuned!! Dont forget the blog candy!! Winner will be announced on May 3rd!! Just wanted to stop in and say thank you for your support! Dont forget to check out the blogs for the other clubs and Funkie Munkie Scraps! And dont forget about the blog candy!!! 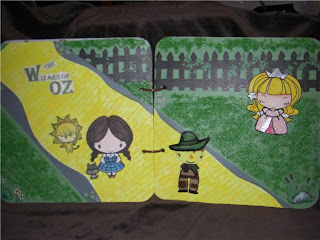 May 2nd is National Scrapbook Day and the kick-off for the TGF Farmerz club! I am SOOOOO excited!! Funkie Munkie Scraps will be open from 9am to 9pm that day. I will be at the store all day helpin out, answering any further questions about the club and doing a CD Holder/card make n take with our favorite stamps from The Greeting Farm! (I will be sure to post directions online on May 2nd for those who can't attend.) All TGF stamps in stock will be 30% off for club members! I will also be sending out an email on May 2nd with all the May farm news. So be sure to watch your inbox! So ROCK the FARM today and remember ~ blogs, website, preorder ends tomorrow and BLOG CANDY!! I have got some GREAT news... Ok.. Several GREAT news-es!!! Now I just gotta figure out where to start!! 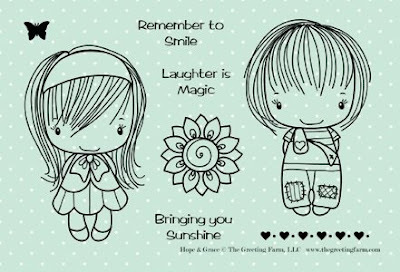 ~ Club members will ALWAYS get FREE SHIPPING on any TGF order, no matter if its 1 stamp or 50!!! ~ On May 2nd (KICK OFF DAY), TGF stamps will be 25% off.... but for TGF club members (including those that sign up that day) they will be 30% off!!!!!!!! ~ You can now join the club (ok all 4) on the Funkie Munkie Scraps online store! Just click on Clubs, Classes and Crops on the left side.. Its basic from there.. If you join online, please remember to send us an email letting us know so we can send you the signup sheet to get your full information! To avoid having to pay tax and shipping, be sure to use discount code EVENT101 when checking out. You also need to be sure clubs are the only thing in your cart at check-out! 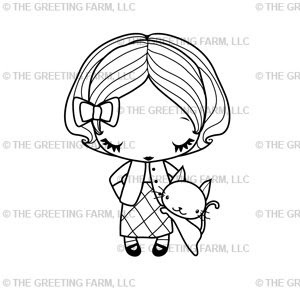 ~ The Greeting Farm stamps we sell (which is pretty much every one) are listed on the online store now, however they arent set up to be able to buy yet. We will have it done by May 2nd though! ~ The other 2 club now have blogs too!! 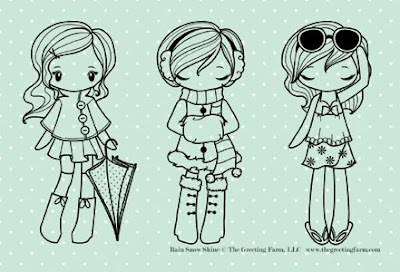 There is the SouthernBella club (Stamping Bella Club)and Savvy Scrappin Sistas club (Scrapbook Club)! 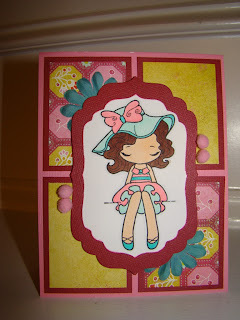 There is even blog candy on SouthernBella!! Go check them out and keep checkin back as they grow! 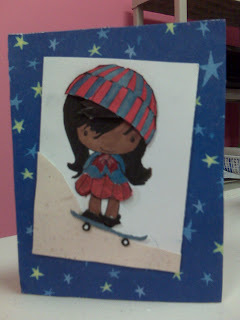 Now don't forget about the blog candy here or on Copic Munkie!! WOOHOO!! New stamps coming soon!!! The Munkie is doing a pre-order on the new stamps being released on May 1st, beginning today, and will be re-ordering the stamps that just got released that have already sold out!! An email was sent out to those whose address we have, but if you didnt get it, just shoot off an email to TGFFarmerz@gmail.com and we will get it sent on to you so you can check them out. She will be submitting the order on Saturday so be sure to get in on it now so you can be sure to get yours as soon as they come in!! The last ones sold out before we even got them put on the racks! THEY ARE AWESOME!!!!!!!!!!!!! 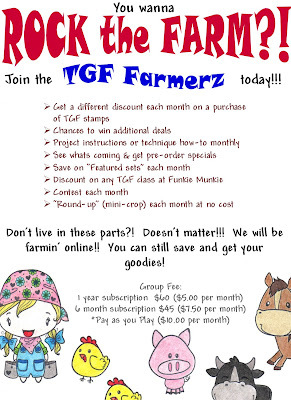 Now that you have the TGF Farmerz club info, it is time to give something away!! !Wanna win some yummies??? 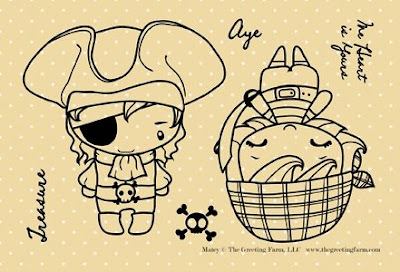 A stamp set of your choice from The Greeting Farm!! 1. Follow this blog - click the 'follow' on the left. Winner will be selected on MAY 3rd!!! Please leave a comment on this post telling me which way(s) you have submitted to win! 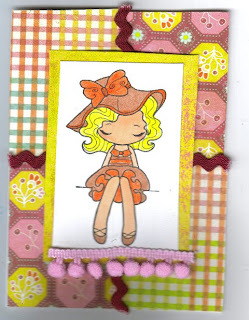 For more blog candy check out Copic Munkie!!! After talking with Stephanie, owner of Funkie Munkie Scraps, today, I wanted to be sure to update the lower post on the discounts. You will be able to use your Funkie Munkie stamp card with the discounts on the stamps. for those who dont know what a Funkie Munkie stamp card is... For every $10 you spend at Funkie Munkie (no matter if its on clearance, sale or not) you get a stamp. For every 8 stamps you get $5 off your next purchase (or whatever purchase after that). You can save up to 24 stamps for $15 off! Now for those online farmerz... 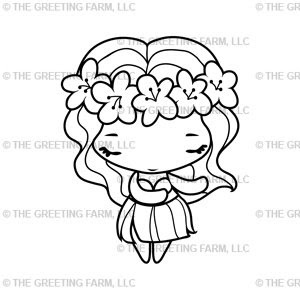 When you place an order through the Funkie Munkie online store, a stamp card will be stamped, your name will be put on it and it will be placed with you membership card at the store. You will need to keep track of how many stamps you have to know when you want to use it. At this time, we are still trying to work it out to see if we can set it up to immediately take off that discount or if you will need to call us with any order you are wanting to use stamps on. We should have that information by next week, so we will be sure to let you know! Hope this helps clear up any questions!! So how exactly are the discounts gonna work?!?!?! At the beginning of every month in farm news email will be a discount on The Greeting Farm products purchased at Funkie Munkie Scraps. What the discount is each month will change. One month it will be 20% off entire purchase, some months may have a higher discount, another month buy one get one of equal or lesser value half off (yes you can buy 10 stamps that way with 5 half off), there may be a pick your own month, etc... You will find out when you get the email! This discount can only be used once that month on any purchase you decide. Throughout the month, there will be tons of chances to win additional discounts... additional 10% off, 20% off entire purchase, buy one get one half off, pick your own, 40% off one stamps, etc. You can win with the challenge/contest of the month. You can submit a project instruction sheet or technique how-to to win. You can win games played. There will be a lot of other ways for you to win additional monthly discounts, both in the store and online! Discounts can not be combined with each other or with any other discount or coupon, unless otherwise specified (i.e additional 10% off). Any questions.... send me an email at TGFFarmerz@gmail.com. Rmember ~ Blogs, websites and Rockin!! We at Funkie Munkie Scraps love our customers, including those who we don't get to see cause they don't live here in Greenville, SC. We also know there are some that do live here that can't always make it to the Munkie. So when puttin' together the TGF Farmerz, it was very important for us to find a way to include everyone! So came the birth of this blog, the TGF Farmerz email and some comin' soon tweaks to the Munkie online store! Each month an email will be sent out at the beginning of the month with all the farm news, the monthly one-time discount, dates of any TGF classes scheduled, the date of the Round-up, info on the featured stamps of the month and anything else we wanna throw in there =). At the Round-up, the monthly project instruction sheet or technique how-to sheet will be given out. It will also be available for pick-up at the store if ya can't make it or mailed out to those who don't live in these parts. Along with it will be the new guidelines for the new challenge/contest. Entires for the challenge/contest can be submitted through email. We have an online forum set-up through ning. This will be private and only available to those who are Farmerz. Once your farm fees are paid (no matter which plan you choose), you will be sent an invitation to the group. 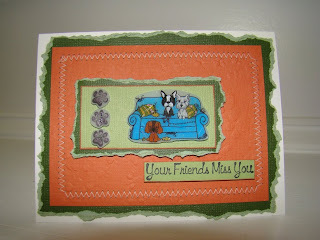 There you will be able to upload pictures of any projects you've done using The Greeting Farm products. (Keep in mind, that will be where we will pull work from to be showcased on the blog - always asking your permission first!) If you see something someone did and wanna know how they did it or what they used, you will be able to start a discussion asking. (I am sure everyone wont mind sharing!) If you have some great news or just wanna vent, need some advice on anything, wanna share something you learned or just wanna chat.. You'll be able to just start up a discussion! You will also be able to find all the latest farm news and goin' ons there. And last but certainly not least, you will find little games started there... And you just never know when there might be a prize for the winner! The farm away from home! We will be sending out special emails showcasing new products and sneak peaks of whats comin'. They will also contain pre-order information! If there is a set already available that we are out of stock on, this will be your chance to let us know! We will be ordering product twice a month. 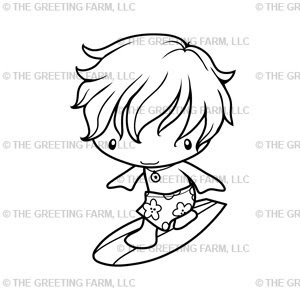 We just ask that you keep in mind that it takes at least a month to get orders produced and to us, unless it's sets The Greeting Farm has released already and has in stock! We are also working on getting all the stamps up on the Funkie Munkie Scraps online store. If you dont live around here, you will get your discount(s) in the form of a code that can be used once. You will also be able to pay your farm fees online. And as always, you are more than welcome to give the store a ring for any info, questions, to place an order, check on the status or just say howdy! If you have any more questions about how you can farm online... just fling an email to TGFFarmerz@gmail.com. Until tomorrow... blogs,websites and have a rockin day! Whacha gonna get each month bein' a Farmer?!?!?! 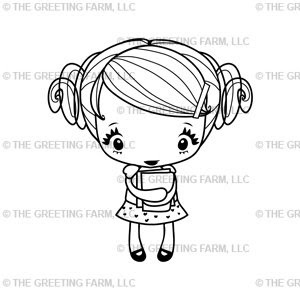 *the chance to "meet" new folks who share your love for crafting and The Greeting Farm. And bestest of all.... A farm away from home to head to when ya just need that moment of happy! Now as time goes on, special perks may pop up here and there! We are also always open to new perk ideas. So if ya got one, shoot off an email to TGFFarmerz@gmail.com! Starting Monday, I will be breakin' down each perk into a full explaination, so if ya have any questions, let me know so I can be sure to answer it when that time comes! Tomorrow I will explain how you can farm online!! Until then, check out the blogs on the roll, stop by the websites and have a rockin day!! Not too awful sure 'bout how to get signed up for the farm?!?!?! Either way, your gonna get a short lil questionaire to fill out. We just ask for your basic info and a couple questions, so we can get ya on file. If you're in the Funkie Munkie, just hand it on back with payment and let us know if'n ya gonna swing in for the kick-off. If ya gotta send off an email, within 3 days we'll be sendin' ya back an email with the questions and different ways ya can get paid up. On May 2, 2009, those who already got signed up, will be gettin an email with farm happenins for ya for the month of May! And dont forget the goodie bag you'll be gettin in May! Til tomorrow ~ Check the blogs on the roll, stop by the websites and ROCK the FARM! Wantin' to know more 'bout becomin' a Farmer?!?!?! Farm Fees - We've got 3 options for ya..
No matter which option ya choose, ya get a goodie bag on your first sign-up! All ya gotta do is get on down to Funkie Munkie Scraps or shoot off an email to TGFFarmerz@gmail.com!! 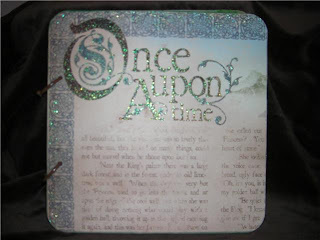 Sign-ups have started and kick-off is on National Scrapbook Day, May 2, 2009!! And don't forget ~ even if ya dont live in our parts, ya still get the goods!! Remember ~ Check out the blogs on the roll, wander back this way tomorrow, stop by the websites and ROCK the FARM!! What the by-golly is this all about?!?!?! 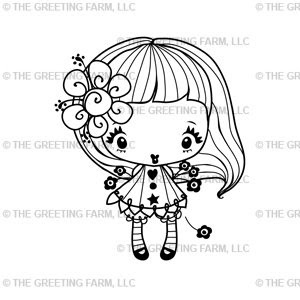 We at Funkie Munkie Scraps have fallen in love with The Greeting Farm stamps! 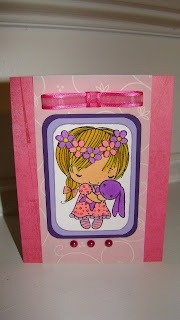 We also love craftin', stampin', scrappin', havin' fun, gatherin' with friends, learnin' new things and savin' money... So we decided to combine it all and start a club! Kick-off will be on National Scrapbook Day, May 2, 2009, but ya can go ahead and get signed up now if'n ya cant wait! All ya gotta do is send an email to TGFFarmerz@gmail.com and we will get back to ya! If ya still ain't sure and ya just wanna know more, check back here daily for more info! There will be a post a day tellin' ya more details of whats to come! Until then, stop by the blogs on the roll and ROCK the FARM!! !